Leaky Sunroof? We carry out sunroof repairs for leaking sunroofs – if you have a leaky sunroof get in touch for a price to repair it. 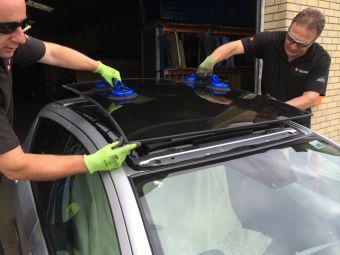 We carry out a large number of sunroof repairs and sunroof installation in Dorset each week. We also undertake aftermarket sunroof installations, with a wide range electric and manually operated sunroofs available.